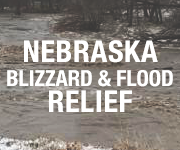 class="post-template-default single single-post postid-354230 single-format-standard custom-background group-blog header-image full-width singular wpb-js-composer js-comp-ver-5.7 vc_responsive"
YORK, Neb. – An era will come to an end for York County in mere days. On December 28th, York County Sheriff, Dale Radcliff, will have his “last call” after 24 years of service as the Sheriff of York County. On Tuesday, The York County Board of Commissioner’s presented Radcliff with a retirement plaque as a token of their appreciation. 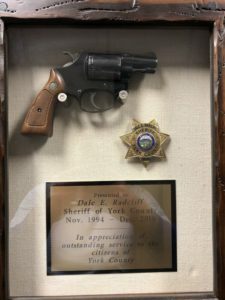 The gun present in the plaque was the first off-duty handgun Radcliff received from York County as their new Sheriff. Current York County Sheriff’s Lieutenant, Paul Vrbka, was elected this past November as York County’s new Sheriff. He will begin his tenure following Radcliff’s retirement.